You have a chance to get your hands on a free KitchenAid Artisan mixer from DealMaxx. Just follow our link and fill up the short entry form and you will be entered in the contest. Click GET FREEBIE button and then submit your entry for a chance to win this kitchen gadget. You have a chance to get your hands on the NES classic edition for free so if you are into gaming, you should definitely enter. Follow our link and fill up the form with your details to submit your entry. Click GET FREEBIE button and then submit your entry for a chance to win. You can get yourself a free WOLL Diamond Lite 10-Piece Cookware Set from Recipe Lion. All you need to do is visit the giveaway page and fill up the form to submit your entry. Click GET FREEBIE button and submit your entry for a chance to win this cookware set. You can get Air Wick® Pure Beach Escapes Starter Kit and lots more when you join their party. Follow our link, click Apply button and signup to receive this product for free. Click GET FREEBIE button to visit Ripple Street website now and enter for a chance to receive this product. You can get free Cavit Cheese Board and lots more when you join their party. Follow our link, click Apply button and signup to receive this product for free. Click GET FREEBIE button to visit Ripple Street website now and enter for a chance to receive this product. You have a chance to get your hands on a free Revlon lipstick. Just follow our link, join their website, signup for free and play a fun game to get your hands on this product. Click GET FREEBIE button and then signup to get this product for free. Joico is giving away free products including their Defy Damage shampoo. Follow our link, scroll down to the entry form, fill it up with your details and you will be entered for a chance to win these prizes. Click GET FREEBIE button and then submit your entry for a chance to win these products. You can try a free Bare Republic Sunscreen so hurry up and grab one right away. Follow our link to Moms Meet website, click Join on right sidebar and enter your details to apply for this giveaway. Click GET FREEBIE button and then join the program for a chance to receive this product. You can get a free Nexxus Hair Kit and each kit contains a wide variety of their haircare products. Follow our link, click Apply button and signup to receive this kit. Click GET FREEBIE button to visit Ripple Street website now and enter for a chance to receive this hair kit. You can get a free Wonder Woman themed party pack and each pack contains sunglasses, temporary tattoos and more. Follow our link, click Apply button and signup to receive this party pack. Click GET FREEBIE button to visit Ripple Street website now and enter for a chance to receive this party pack. You have a chance to get your hands on a free pack of M&M’s Hazelnut Spread. Follow our link and submit your entry by filling up the form and you will be in for a chance to win. Click GET FREEBIE button and then submit your entry for a chance to win. You can get yourself a free Eufy Robovac and try it out for yourself and give your honest feedback. Follow our link, connect with your social account and then enter for a chance to get this product for free. Click GET FREEBIE button and then apply to become a product tester now. You can get a free Bamboo cutting board and a Walmart gift card so hurry up and apply for yours.. 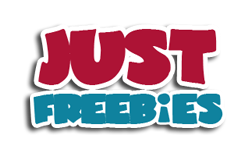 Follow our link, click Apply button and signup to receive these freebies. Click GET FREEBIE button to visit Ripple Street website now and enter for a chance to receive this product. Hurry up and get yourself a free sample of Crystal™ deodorant from Social Nature. Follow our link, click Signup button and supply them with your shipping details to get this free snack. Click GET FREEBIE button to visit their social page now and order your free sample today. Dunkin’ is giving away free branded onesies for your little ones. Follow our link and comment on their giveaway post for a chance to receive one of these gifts. Click GET FREEBIE button and then enter for a chance to win one of these onesies. You need a twitter account to avail this offer. Dunkin Donuts is giving away loads of free prizes including their branded tumblers. Follow our link, click Get Started button, register for free and play their fun games to instantly win these prizes. Click GET FREEBIE button and then submit your entry for a chance to win these prizes. Black and Mild has got more than 10,000 free goodies to giveaway including the Old Fashioned cocktail kits. Follow our link and register with your details to submit your entry for a chance to get one of these. Click GET FREEBIE button and then submit your entry for a chance to win.